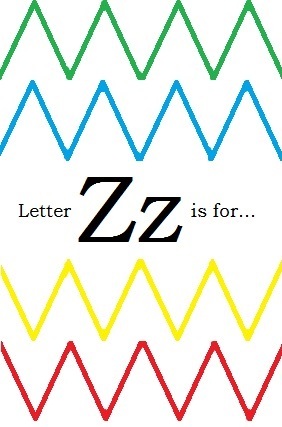 “Letter Z is for Zig Zag Week” is next! “I Love My Mommy Week” was full of hard work and loaded with love! The students spent the entire week crafting the most incredible gifts to present to the amazing Park Prep Academy Mommies at the 2014 Mother’s Day Celebration! Speaking of celebrations, Mother’s Day was not the only big event this week at Park Prep Academy! The students were so excited to learn that all of their butterflies had come out of their chrysalises! The students decided that Wednesday would be the perfect day to release the butterflies! Take a look below to see the entire Caterpillar to Butterfly Transformation and also be sure to watch the video of the students releasing the butterflies into the wild (at the end of this post). Enjoy! The first gift the students made was a special serving platter for Mommy. The students all agreed that the white serving plates looked a bit dull; it was decided pretty quickly that the plates should be decorated! In order to do so, the students began by writing their names on the back of the plate. Next, the students used special paint to add some vibrant color to the front! Whether the students painted a picture or just an abstract masterpiece, the plates sure did turn out great! By Wednesday, the students began part two of their Mother’s Day gifts – lavender scented bath fizzies made from scratch! Following a special and non-toxic recipe, the students mixed, poured, and scooped together all the ingredients using the bottom of a plastic egg as a mold! The classroom smelled amazing all week long! Perhaps it was the lavender scent that filled the room this past week that helped the students have some of the best rest times of the year! We hope all the hardworking PPA Mommies enjoy some extra fun and fizzy relaxation with their new gift! By Wednesday and Thursday, the students began working on the final Mommy gift – a page in the “Class ‘I Love Mommy Because…’ Book”. One by one the students were asked why they loved Mommy. Whether their responses were funny or sweet, one thing is for sure – the PPA Mommies are certainly loved a lot! The remainder of Thursday, as well as Friday morning, was spent wrapping the presents and also rehearsing a special performance that the students would perform later that day at the 2014 PPA Mother’s Day Celebration! Finally, Friday afternoon had arrived and it was time for the party! Once the room had filled up with PPA students and Mommies, the celebration began! What a special day it was! Below please find some of the photographic highlights from the 2014 PPA Mother’s Day Celebration. Be sure to scroll to the bottom of this entry to view the entire photo gallery! What a blast the 2014 Mother’s Day Celebration was! The students and their Mommies sure do know how to have a good time! Thank you to all of the Park Prep Mommies for all that you do everyday. We hope you all have a wonderful day on Sunday. Well, that is all for “I Love My Mommy Week”. As always, thank you for reading and have a fun and safe weekend! Click here to view all of the photos from the 2014 PPA Mother’s Day Celebration!